William Goodell was an abolitionist and reformer born in Coventry, New York on October 3, 1792. Goodell spent several years of his early childhood confined to his room due to illness. It was during this confinement that he first discovered an appreciation for religion and writing. Following the deaths of his parents, William moved to Pomfret, Connecticut to live with his paternal grandmother. He attended school but could not afford to go on to college. As a young adult, Goodell spent several years in various jobs in several different areas of the country, yet none of the work incorporated both of his interests in writing and religion. While working in Providence, Rhode Island in 1823, William met and married Clarissa C. Cady. The couple later had two children. In 1827, at age 35, Goodell became a journalist for a reform journal in Providence, allowing him to write from a religious perspective. His articles focused mostly on temperance. 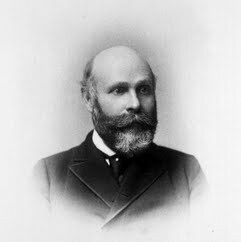 After moving the journal’s headquarters to New York, Goodell became the leader of the American Temperance Society. In 1833 Goodell helped found the New-York Anti-Slavery Society as well as the American Anti-Slavery Society.